Virtual Mob is an vibrant new high tech company in the sector of Augmented Reality (AR). 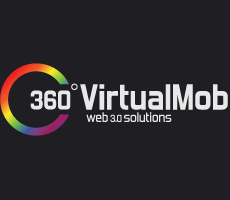 “Virtual Mob has grown from strength to strength and we have always aimed to fulfil our clients visions and business needs. We aim to make businesses more aware of our services and how their business can grow through the use of AR as a medium.